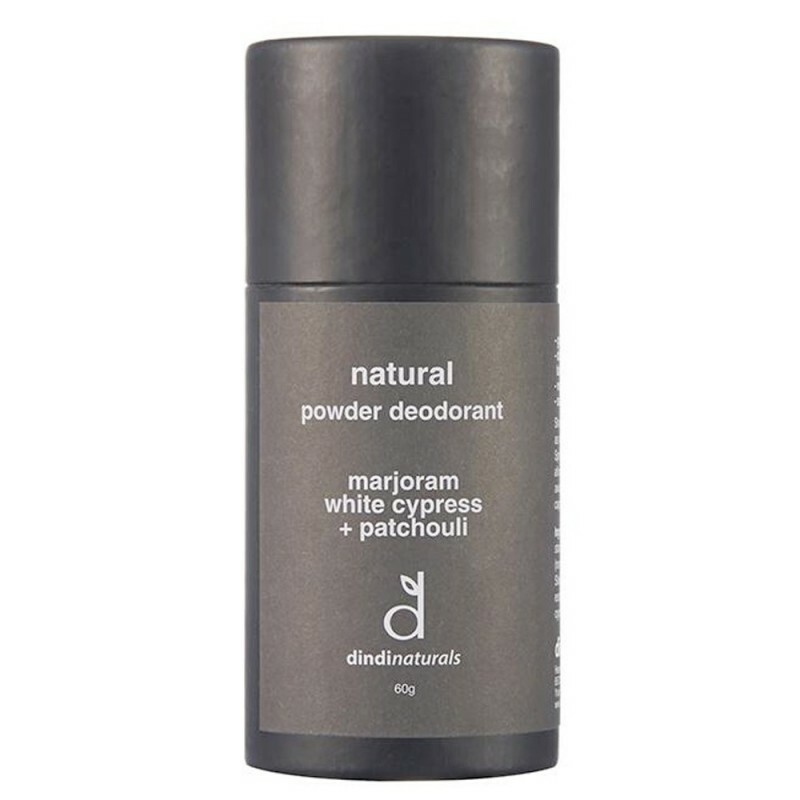 A deodorant powder to keep you feeling dry and smelling fresh. Arrowroot, tapioca and bentonite clay powders are combined with marjoram, white cypress and patchouli essential oils, for a bi-carb free and vegan friendly natural deodorant. This gentle formula can also be used to deodorise feet, carpets and doggy beds. 60g. Marjoram, white cypress and patchouli help combat bacteria and leave a fresh woody scent with an earthy floral undertone. Aarrowroot flour, tapioca starch, bentonite clay, zinc oxide (non-nano), powdered lemon peel, ginger root, Siberian ginseng and aloe vera, pure essential oils of sweet marjoram, white cypress and patchouli. 60g. Packaged in a cardboard tube with plastic dispenser cap.